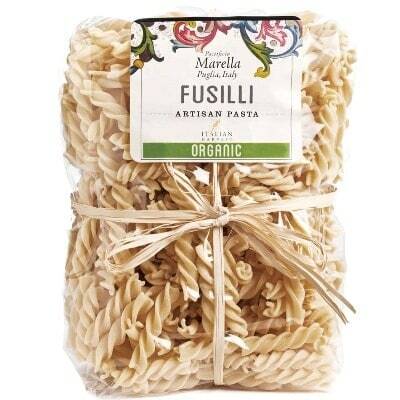 As Giorgio Armani once said, “The difference between style and fashion is quality.” You can say the same goes for food, since this classic Fusilli from Marella can be great with any kind of sauce. This pasta shape is typical to southern Italy. The most common sauce for it is an equally classic combo of tomatoes and cheese. However, you can totally be adventurous with these pretty spiral pieces of dough. Try it with pesto, or carbonara and you’ll find out they’re still as scrumptious. Interested in testing these culinary theories? Grab a bag of this yummy classic pasta now!